Huck's Carpet Cleaning High Ridge has been providing the finest in truckmount carpet cleaning (steam carpet cleaning) services, upholstery cleaning, tile & grout cleaning, removal of pet odor and pet stain removal for homes and businesses in the High Ridge MO area with over 10 years experience in the carpet cleaning industry. To ensure our customers get the best level of carpet cleaning, we utilize a top-of-the-line truckmount cleaning system, as well as the most powerful spot removing and deodorizing chemicals on the market. These chemicals are specifically designed to dry quickly, and feature a low pH that will keep your carpets cleaner, longer. Additionally, we are fully insured for your protection. Our commitment to customer satisfaction and worry-free service has made us one of the most sought-after carpet cleaning companies in the industry. Huck's Carpet Cleaning's success is based on the quality and flexibility of our services; we are available 24/7 and offer same-day appointments. The fairness of our rates and our unparalleled commitment to customer satisfaction is unprecedented. Huck's Carpet Cleaning High Ridge.... Our trained and knowledgeable staff has completed thorough and extensive training in the carpet cleaning industry, including upholstery cleaning, air duct cleaning, tile and grout cleaning, removal of pet odor and pet stain removal. 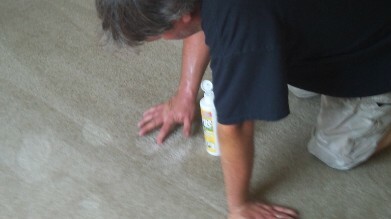 We can offer you same-day service in most cases, with your carpet drying in two to three hours. If you are in need of residential or commercial carpet cleaning, our dedicated and professional staff will ensure you the best service in the industry. We clean carpets and upholstery in hundreds of homes and do commercial work each month in the High Ridge and Metro Saint Louis areas and parts of Southern Illinois. 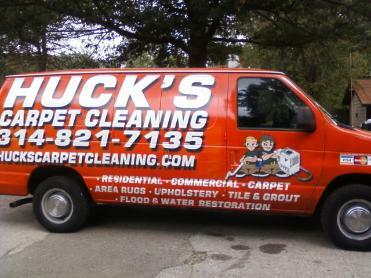 With our truckmounted steam carpet cleaning and Rotovac equipment and expert stain removal techniques, nobody beats the clean provided by Huck’s Carpet Cleaning High Ridge.